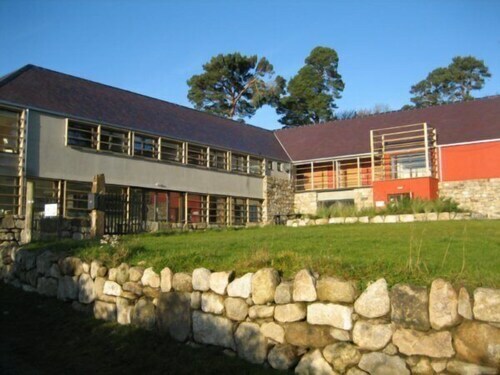 Situated in a national park, this hostel is within 1 mi (2 km) of Glendalough Tower and Wicklow Mountains National Park. Glendalough Cathedral and St. Kevin's Church are also within 10 minutes. Situated in the mountains, this bed & breakfast is within 9 mi (15 km) of Russborough House, Wicklow Mountains National Park, and Hunting Brook Gardens. 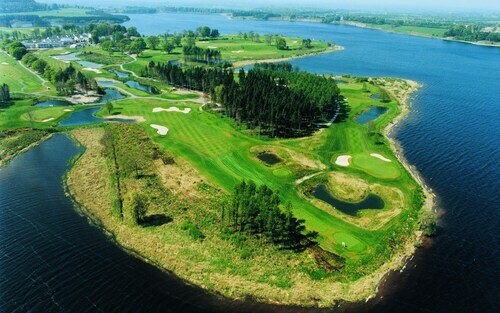 Punchestown Racecourse and Craddockstown Golf Club are also within 12 mi (20 km). 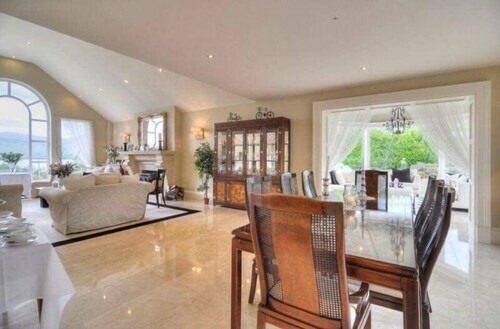 Situated on the waterfront, this vacation home is within 9 mi (15 km) of Russborough House, Wicklow Mountains National Park, and Punchestown Racecourse. Hunting Brook Gardens is 11.5 mi (18.4 km) away. 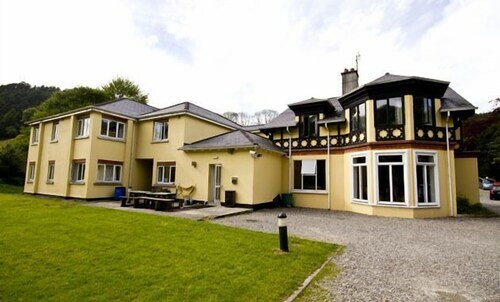 Situated on the riverwalk, this bed & breakfast is 4.3 mi (6.9 km) from Russborough House and within 12 mi (20 km) of Wicklow Mountains National Park and Punchestown Racecourse. Hunting Brook Gardens is 11.5 mi (18.5 km) away. Situated in the mountains, this country house is within 3 mi (5 km) of Glendalough Tower, Glendalough Cathedral, and St. Kevin's Church. Lower Lake is 2.9 mi (4.6 km) away. 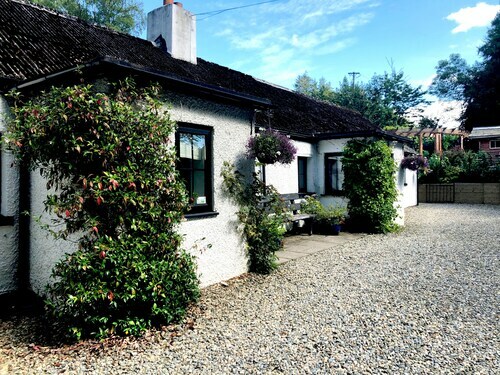 Situated in Hollywood, this cottage is within 9 mi (15 km) of Russborough House, Wicklow Mountains National Park, and Punchestown Racecourse. Hunting Brook Gardens and Craddockstown Golf Club are also within 12 mi (20 km). Located on a lake, this family-friendly hotel is within 9 mi (15 km) of Russborough House, Wicklow Mountains National Park, and Punchestown Racecourse. Hunting Brook Gardens and Off Road Driving Centre are also within 12 mi (20 km). 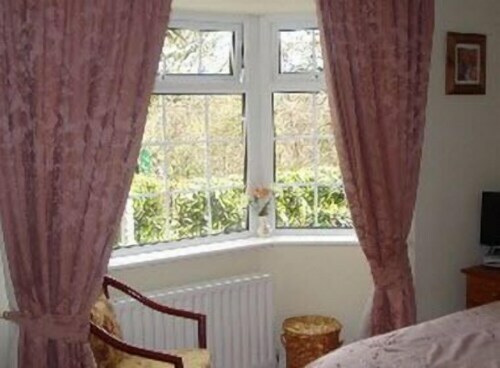 This family-friendly Glendalough guesthouse is located on a river, within 2 mi (3 km) of Glendalough Tower, Glendalough Cathedral, and St. Kevin's Church. Wicklow Mountains National Park is 2.5 mi (4 km) away. 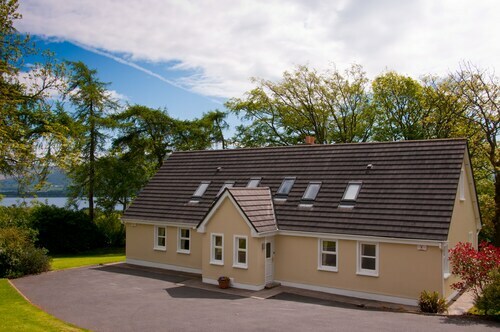 Situated in Roundwood, this guesthouse is within 6 mi (10 km) of Wicklow Mountains National Park, Lough Dan, and Lough Tay. Sculpture in Woodland and St. Kevin's Church are also within 9 mi (15 km). 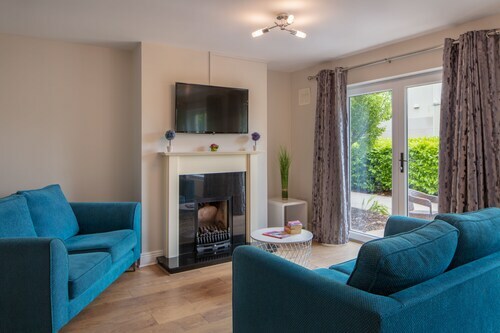 Situated in Blessington, this apartment building is 3 mi (4.9 km) from Russborough House and within 6 mi (10 km) of Wicklow Mountains National Park and Hunting Brook Gardens. Punchestown Racecourse and Craddockstown Golf Club are also within 9 mi (15 km). Situated in Enniskerry, this hostel is 2.6 mi (4.2 km) from Powerscourt Estate and 2.7 mi (4.3 km) from Powerscourt Golf Club. Wicklow Mountains National Park and Powerscourt Waterfall are also within 6 mi (10 km). 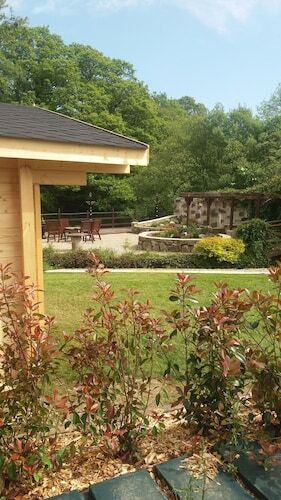 Situated in the mountains, this lodge is 2.2 mi (3.6 km) from Wicklow Mountains National Park and within 12 mi (20 km) of Lugnaquilla and Russborough House. Clonmore Castle and St. Kevin's Church are also within 25 mi (40 km). Your next vacation is around the corner. The kids are out of school, you and the spouse have two weeks off, and it’s about time to get the heck out of dodge. You must experience the culture and see the sights. Book your stay Wicklow Mountains National Park hotels with us at Travelocity and enjoy the trip of a lifetime. Finally, you can stay near the sites you’ve only read about in books. Now they are next door. Start fresh in the morning with the amazing views from your balcony. Then hop on any number of tour buses and take postcard-worthy pictures of the attractions you once thought couldn’t be real, but now you find them through your lens. 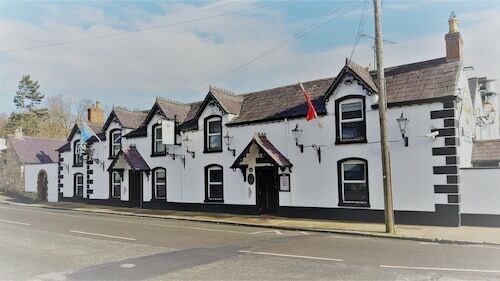 Hotels near Wicklow Mountains National Park will offer you the best in prices, activities, amenities, dining, and nightlife. You may not want to imitate the Griswald’s--that’s been done one too many times—but you do want to have a memorable trip. With Travelocity’s long list of cheap hotels near Wicklow Mountains National Park, you’re sure to find the perfect place to stay within your preferred budget. We’ll match a lower price and refund the difference. Book now and let us make your next vacation the easiest of your life. How Much is a Hotel Room in Wicklow Mountains National Park? Hotels in Wicklow Mountains National Park start at $79 per night. Prices and availability subject to change. Additional terms may apply.